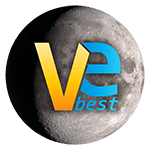 VeBest respects individual security and privacy, and protects personal information. You are not required to provide any personal information to us. For specific purposes, in case you provide personal information you will be deemed to have accepted the use of your personal information under following terms. We implement a variety of security measures to maintain the safety of your personal information when you place an order or access your personal information. We offer the use of a secure server. All supplied sensitive/credit information is transmitted via Secure Socket Layer (SSL) technology and then encrypted MyCommerce Payment gateway providers database only to be accessible by those authorized with special access rights to such systems, and required to keep the information confidential. After a transaction, your private information will not be stored on our servers. This policy was last modified on Apr 19, 2010.